Unless you have a true recreational vehicle insurance package, you could be in for an unpleasant ordeal should you experience a loss. Your recreational vehicle may be a snowmobile, watercraft, ATV, motor home, travel trailer, fifth wheel or a camper. It's not a house and it's not a car and it needs special insurance protection so you can travel safely. We have products specially designed for the recreational vehicle lifestyle. For most people owning a boat is a dream come true. Whether you’re out on the water with friends or enjoying a relaxing day of fishing, your boat provides an escape. Unfortunately, accidents do happen, even on the water. A specialized Boat Insurance policy covers your boat or personal watercraft, as well as its motor. In addition, the liability coverage provided by a Boat Insurance policy can help pay for medical expenses or legal costs if you’re at fault in a boating accident. Sub-zero temperatures and whiteouts get your blood pumping? When perfectly packed powder trails are calling, the last thing you want to worry about is whether you have the right insurance policy. We offer coverages designed specifically for you and your snowmobile. We offer coverage for things like safety apparel such as gloves and boots that keep you from turning into a human popsicle. 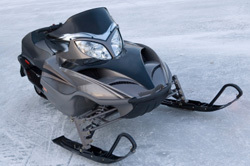 We also offer coverage for optional equipment like sleds designed to be pulled by your snowmobile, windshields and after-market parts and accessories. 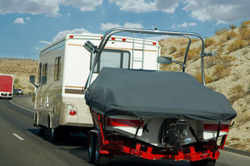 Why do you need Motor Home/RV Trailer Insurance? Take the road in your motor home or travel trailer and choose your adventure. Whether you drive to camp in the mountains or take in a sporting event, you know the outdoors. With all the possibilities that lie ahead, the right insurance shouldn’t be a question. Your motor home or travel trailer policy covers the things that are most important to you. Whether you’re starting out on a brief trip or you are a full timer taking all the amenities of home with you, we have the specialized policy that provides the coverage to give you peace of mind. As an ATV owner there are a couple of things you need to keep in mind. 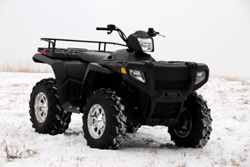 If you currently have your ATV on your homeowner’s insurance policy you may not be covered if you ride it off your property or trailer it to another location. If you don’t have any insurance on your ATV at all you should also know that there is a high rate of theft for these units. It doesn’t matter if your ATV is brand new or if you have had it for awhile, the best way to cover you and the ATV is to have a customized ATV policy.